What Does Certified Pure Therapeutic Grade (CPTG) Mean? So many choices. So many confusing choices. 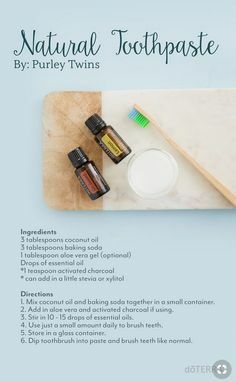 You can find essential oils at Walmart, Target, the Healthfood store, even from smell-good companies like Scentsy and other MLM companies – and then there are companies like doTERRA and Young Living. How do you weed through the confusing terms? 100% Pure sounds awesome. You might as well buy the cheapest brand that says 100% pure, right? You see, the FDA does not regulate essential oils the way you probably think they do. 100% Pure basically means nothing. Does that mean the oil is the highest quality? No. Does it mean that it’s organic? Safe? Unadulterated? Grown in the best environment? No. It doesn’t mean that the plants were grown in the appropriate soil or that the oil was tested for the correct chemical constituents. This means that YOU, the consumer, have to do your own research. YOU, the consumer, has to educate yourself and not trust the government to make the best decisions for you. After doing my own research, I personally chose doTERRA Essential Oils. I believe that they have the highest quality essential oils, at the best price, harvested the most responsible way on the entire market. DoTERRA saw how little regulation there was on the market and the standard was not high enough. They raised the standard for themselves and they reach or exceed that standard with every single drop of oil. They created a standard called Certified Pure Therapeutic Grade or CPTG. Each oil goes through GC/MS testing (Gas Chromatography/Mass Spectroscopy). This ensures that the chemical profile of the oil is what it is supposed to be. Organoleptic testing: A team of chemists, quality technicians, and manufacturing engineers examine the oil for the correct appearance, color, and aroma. FTIR (Fourier Transform Infrared spectroscopy) testing: doTERRA uses infra-red lights to determine if the essential oil meets the doTERRA standard for the material composition. Optical rotation: doTERRA tests the essential oil for synthetic additives that the GC/MS might not have identified by twisting the molecules. Specific gravity: They measure the volume-to-weight ratio for each oil to make its within what is expected in pure and quality oil. Refractometer: doTERRA measures how light propagates through a specific substance – this is the essential oil’s refractive index. Stability Testing: doTERRA actually tests the oils against temperatures and humidity changes to see how the oils survive long-term. These oils are meant to be used safely and effectively for years. CPTG goes well beyond the Organic Standard – Learn about about doTERRA and whether our oils are Certified Organic. Access to the Testing Results!! This is unheard of in this industry. Go to Sourcetoyou.com and plug in the lot number from the bottom of your bottle of oil and you can see the test results from your bottle of oil. Check out my SHOP page – I can get you the highest quality essential oils for you at a 25% off retail price. So the choice is in your Hands. Will you go with an unknown source of essential oils or will you choose a quality Certified Pure Therapeutic Grade essential oil to use in your home and on your babies? For me the choice was easy, if I was going to try to replace and avoid using modern medicines in my home, I want to use the very best and most safe essential oils possibly available. That’s why I will only use and endorse Certified Pure Therapeutic Grade doTERRA essential oils.